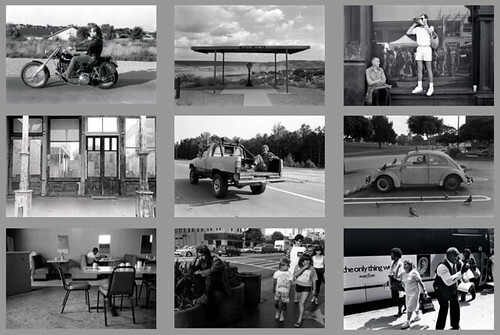 2point8 – A wide-open view of the practice of street photography by Michael David Murphy, While Seated. I’ve curated an exhibition of photographs from Mark Alor Powell and Hannah Pierce-Carlson which opens March 12th at Columbus State University, Columbus, GA. Here’s an essay, and photographs from the show can be seen at foreign-domestic.org. Couldn’t be happier to have been able to put this show together, and I wish all of you could join us in middle-Georgia (on the Alabama line!) tomorrow night. Fantastic to see this news hit my inbox yesterday, that the first retrospective in nearly 25 years of Garry Winogrand’s work will open at SFMOMA on March 9th, 2013. The exhibition will then travel to DC, NYC, Paris & Madrid. Back when this site was active, there was plenty to say about Winogrand, and it’s great to see that there’s been a recent upsurge of interest in his work, and generally, in street photography. 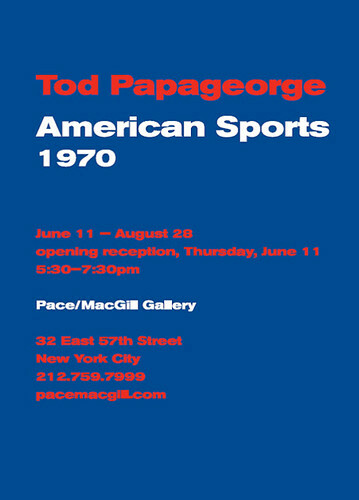 I’m really looking forward to the catalog (and exhibition, if I make it out there) and especially to a new essay on the subject from Mr. Papageorge. Here’s my swing at the subject, “Reconsidering Winogrand” from the inaugural issue of “PUBLICATION” way back in 2009. Update: NYT has published unseen work from the 1960 DNC, and is asking for help in id’ing some of the people included in the scenes. Since I started photographing, I’ve been fascinated by not photographing and the politics, problems, and peculiarities that surround what it means to make (or not make) a picture. Jacques Derrida, who famously refused photos of himself on his book own jackets, spoke of his photographic-fear in this interview on youtube, which may or may not be from this documentary, it’s been a few years since I watched it. Below, a transcript of the interview, as a sequence of cropped (and subtitled) screenshots. Josh Azzarella, Untitled #20 (Trang Bang), 20x30in, 2006, Ed. 7+3a.p. My copy of Street Photography Now arrived yesterday from Amazon and the book looks good; it’s well-designed and the pictures pop. As I began to read the text (and rifle through the back, searching for a bibliography that I never found) I was surprised by how many quotes are utilized in the essays by Sophie Howarth and Stephen McLaren, and how few of the quotes are cited. Then, on a lark, I started inserting bits of the book’s text into my search engine on 2point8 and (you guessed it) was surprised to find multiple passages that were copied verbatim, from this site, and published in a book for sale by Thames & Hudson. Are bibliographies not required in European book publishing? I’m flummoxed. I’m all for the free and open Web, but when you freely copy text from websites, and use that content in a published book for sale, it seems uncool (at best) to not cite your references, and illegal (at worst). The quotes used in the book have the appearance of being created in direct interviews that Howarth and McLaren conducted with the included photographers, and that’s just not true — they copied-and-pasted passages off the Web and failed to cite their sources. I’m sure there’s some “explanation”, right? How many other sources are quoted and not cited? In these days of copyright grabs, when photographers are the first and loudest to rightfully declare theirs as theirs, it’s interesting that in a book about photographers, the accompanying text isn’t treated with the same care. The book is an achievement, and years in the making. I remember being notified about the book’s development, back in 2006 (or ’05, even?). I’ve met the principals involved, and considered contacting them first, directly. On second thought, I figured I’d raise the issue publicly here, at its source. If you have interviewed photographers or written about photography, is there text of yours in Street Photography Now, too? Should we, in the spirit of the open web, crowdsource the missing bibliography? Big thanks to Shane Deering for sending in this transcription of the Winogrand MIT mp3. Thanks, Shane! This is a winter 2008 podcast from the UCR/CMP (University of California Riverside California Museum of Photography). The transcript is available on Google Docs. Thames & Hudson book designer Johanna Neurath posted a picture last week of a proof of their new title “Street Photography Now”, by Sophie Howarth and Stephen McLaren, which will arrive later this year. This essay was written for the inaugural issue of PUBLICATION. 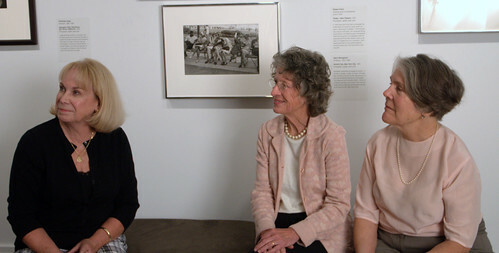 Thanks to Nick Turpin, Tod Papageorge (Pace/Macgill), Eileen Hale & the Estate of Garry Winogrand (Fraenkel Gallery). There’s inherent risk in doing exactly what you want and doing it well. Garry Winogrand, whose photographic output said both “look at us” and “look at me look at us” in equal (and thrilling) measures, knew well the width of that risk. He took its measure, set it aside, and deliberately went about the work of widening photography (both what photography was, and what photography might become) with every click of his shutter. Winogrand’s is the work of a serious artist (though he’d cleanly deny it) dedicated to seeing his project through to completion, even if, in his own case, it wasn’t exactly clear what the project was, or how it might end. Hard work would figure it out. Hard work would leave behind the four foot high piles of prints, the hundreds of thousands of negatives. While Winogrand’s street pictures might appear to be bounty from the hull of a trawler with a Fifth Avenue driftnet, a photographic harvest of the mackerel and tuna that swam the currents of New York City in the sixties and seventies, the seriousness of his task was more practiced, and severe, even. You don’t take pictures like Winogrand if you’re wide-eyed and aimless, and you don’t take pictures like Winogrand if you’re hidden in the weeds with your duck calls and camouflage. The middle road always requires a stern commitment, a deft touch, and the most negotiation. 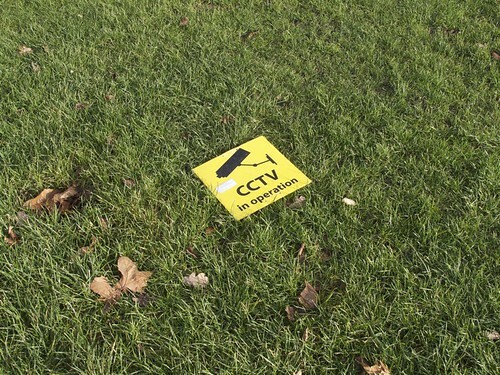 It’s there where Winogrand struck, and stayed to reap the source. I Am Photographing You and You Know It and I’ll Get To See What This Looks Like Later. I Am Smiling While I Photograph You Because It’s Such A Beautiful Day You Know? A whisper of danger in a seemingly harmless act. The man with the camera smiles so everything must be okay, right? A diffuser by photographic nature, there are few pictures and fewer videos that reveal Winogrand while working, but photographing people candidly with a small camera and a cigarette stuck between the fingers didn’t exactly chime terrorist alert signals as it does now. Waking-up in the morning and knowing you may or may not make a good picture but the day is as good as any other, and every day is worth a try, just as the people you might meet are worth engaging with, and the light is as good as on any other day — at the least good enough to burn some film and work a few hours on the street without having a specific destination; it’s a kind of morning relatively few photographers have the fortune to greet. Yet it’s this quotidian attraction to the unspooling of time that creates the through-line of Winogrand’s effort. That there are precise moments and places on the planet where the truly extraordinary occurs, without actors, curtains, or fancy equipment, and that these places are often narrow and vanishing; perfect for a photographer with his finger on the shutter. The spoiled analogy of photography as big game hunting backfires; Winogrand’s targets were no one else’s; at their best they were his only. 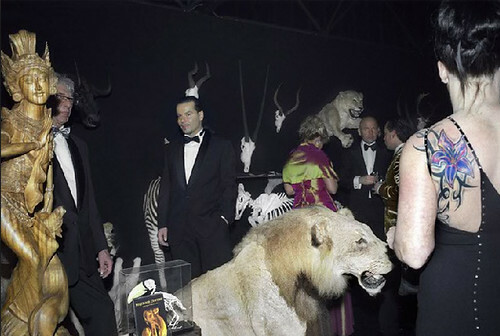 A couple with two chimpanzees, two lovers with a fox approaching. Neither from the pages of a Field Guide. Too often summed-up as a visual trickster, Winogrand’s work may well have been one thing to him and something entirely different to the rest of us. And you can’t help but wonder if there was some genius in the aggregate. Like Gerhard Richter’s “Atlas”, perhaps Winogrand’s greatest work wasn’t in the brilliant moments or creative editing, but in the Complete Everything, in the performative act of making hundreds of thousands of images, of the people, with the people? Either way, the more you look at the side that matters of Winogrand’s particular equation (the prints, face-up) the less the sum makes sense. How could this possibly have happened? How could a photographer have been right here, right then, and then here, right then? And why would they do whatever it took to make it there, to make this? It’s photographic blowback. Left with the spectacle of the end result, you can’t help but scurry to the source and figure out how the heck it all came together. The prints are Winograndian facts that when taken at face value leave you penniless. They’re like poems that weren’t written for a reason — they were made entirely outside of the marketplace; their value is whatever you choose to place upon them. This photograph both is and isn’t a picture of a couple carrying chimps. Sure, it’s what it is, but it isn’t all it is. Winogrand’s photographs aren’t billboards advertising the wink-and-nod of The Perfect Moment ™, they’re more like dispatches from a man with a stop time device, a photographer both at odds and in love with a social contract that states, you can look, but please don’t linger. Winogrand’s best photographs do two things extremely well. The picture of the couple with the chimpanzees plainly describes a particular point of view on a chilly day in 1967 with extreme clarity. But the clearness of its description is like verse’s iambic pentameter, it’s another way to make the words slide easily into the ear. The clarity enables you to believe you know exactly what you’re seeing: two people carrying chimps. Or rather, a black man and a white woman carrying chimps as if they were their children, on a sunny afternoon in the park. It’s a trick, really, the greatest tool a non-fiction photographer has in the bag: How can I make this thing you’ve never seen look approachable and oddly familiar? I’ll make it plain as day, black and white. Winogrand’s pictures might occasionally be out of this world, but they’re always of this earth, bound by gravity, chemistry, and light. And his best work ratchets between these two poles; the clarity of obvious documentary vs. the scrambling of the senses when seeing something just this side of unimaginable. It’s the kind of back-and-forth that leads one in a few directions; straight back to the photographer, and the who/what/why/how of intention, or to the facts of the picture itself, and how those facts, clearly illustrated, yield a never-ending chorus of questions. Miscegenation is not quite as provocative as it was in the 60s, but until June 12th, 1967, interracial marriage in the US was still illegal in 16 states. 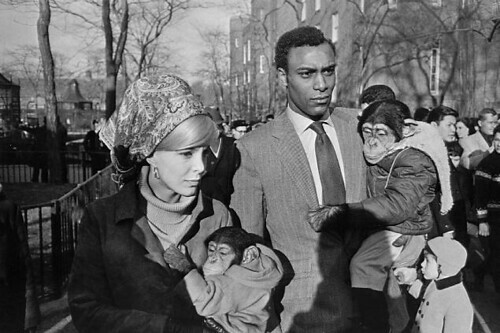 Winogrand’s couple wasn’t just perfectly addressing a political issue by being themselves, walking down the street (carrying chimps), they were doing it in style, the man in suit-and-tie business attire, the woman with a scarf covering her head, and each with a chimp calmly clinging to his lapel and her collar. The chimps were clothed, which makes the picture look like a family portrait, and the direction in which the humans are looking vs. the chimps adds psychological (and generational) weight to the composition. But you know this already. You know that the frames that follow this particular image are doing one thing well, but a few other things wrong, and that, of the series, this image is the only one in which all the elements contribute to a satisfying whole. Then again, depending on the season, this photograph feels either bullet proof, or riddled with holes. Some days I can see it for what it is, other days it looks like what it’s not. And where would this picture be without the boy in the background at right, holding his parent’s hand? So perfect how the woman is turning away from the shadowed fences and trees of the zoo toward the bright light of an unknowable future! So large the urge to find these two and see where they are now, but so utterly useless, because the context of this photograph is its contextlessness! Life doesn’t come with captions, or does it? If the photographs after this image show a situation that could no longer “solve the problem” on a frame of film inside Winogrand’s camera, the images just before this one offer no inkling of what’s to come. On a contact sheet marked “London / Monkey”, the first shots on the roll are quiet pictures of a dinner with friends in London. Those were followed by a blank frame, and then boom. Welcome home, America. So we have a situation: the man with the camera, dedicated to the day in the fullest sense, wherever the pictures might be on a sunny afternoon in ’67. Not shooting solely on his own, but meeting up with Tod Papageorge at some point along the way. Who could say what might happen? Who could have known that the day would lead to this? Again: a man, a woman, a child, two chimps. Light like only light can be, both soft and bracing, black and white. He’d never seen this before, he’d never see this again. A couple, together, dressed well, a child in the background, holding an unseen hand. But the truth is this frame is born of failure. The following pictures are less sure, and the failures mount. Not just on this roll, but the next, and in the contact sheets, and work prints. They pile-up too, in a psychological way. You try and try again. You roll the dice: snake eyes. 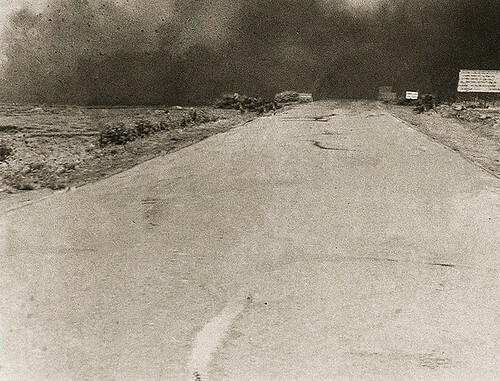 But Winogrand’s failures allow for the successes in an organic way, as both till and filler. And it’s this entire stew of prints and unprinted frames that encompass the unseen work of Winogrand. If the failures allow for the successes, aren’t the failures part of the project, too? And if you’re a photographer as prolific as Winogrand, who shot at an unfathomable rate, especially considering he was shooting with film, perhaps the most interesting product of all isn’t the finished prints or the exhibitions or published books, but the fact that you were out there, and living it, and shooting everything you could that might possibly become a good photograph, and that your effort (backed-up by the brilliance of your successes) was as much the product as anything. 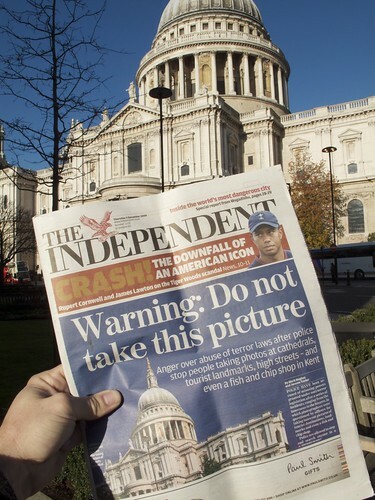 In 2000, when digital cameras began to be affordable by average consumers interested in making photographic images (or just taking pictures) people were thrilled by the fact that the images were essentially free, that they could take as many pictures that they liked, and that the photos didn’t have to be of anything in particular. You didn’t have to save film for special occasions. You could freely photograph anything you desired, life as you knew it, rapid fire. Photographer’s digital archives began to balloon under all that freedom, and even lazy weekend photographers found themselves sifting through tens of thousands of images. 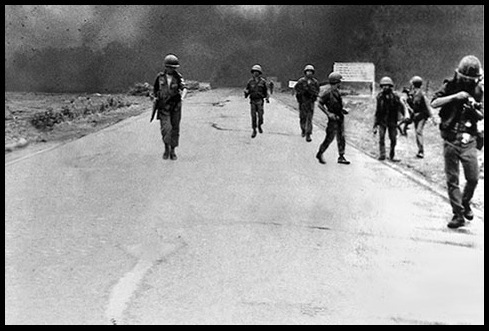 Some began to feel the weight of all that freedom; the ungainly Archive of Everything weighing down their hard drives. It’s a Winograndian affliction, the creation of images you’ll never be able to assess (or see, even) in your lifetime. Winogrand was moving so fast photographically that he outran his own workflow, and thousands of rolls of film had to be developed posthumously. It’s in this spirit that I sometimes consider Winogrand to be the first digital photographer. Not that he was a motor-drive weekender, but that there was no one before the advent of the digital camera who photographed with such zeal and inhibition. Toward the end of his life, while battling cancer, Winogrand’s friend drove him around Los Angeles and he photographed out the car window, wide-angled, to be sure. Yesterday, on my way home from work, I saw two separate cars in which the drivers were doing the exact same thing, with their digital point-and-shoots. 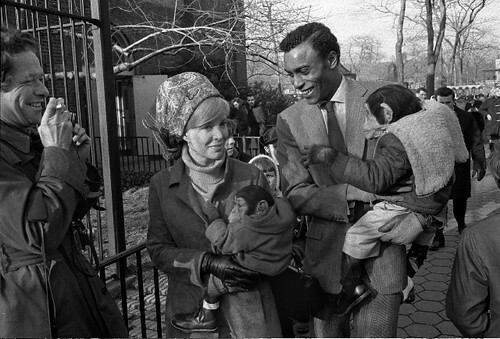 Winogrand’s omnivorousness for the image is what drove his greatest successes, like the couple with the chimps. Which is not to say that anyone with eagerness and the right equipment will become a great photographer. But I think Winogrand’s spirit lies less with the academics, and more with the kid who just got his older brother’s hand-me-down Canon Rebel and is about to stumble across a copy of The Animals in the school library during study hall. If photography is a serious form of play, than Winogrand was an aesthetic athlete, always ready for kickoff, and his highlight reels remain. But one can’t help but wonder what gems (both historically and aesthetically) might be uncovered if the entirety of his archives were digitized and available not just to scholars, but to the proverbial kid in study hall. It’s a task for the “hive mind”: to reach a new understanding about an artist so ahead of his time that he himself never had the chance to reflect and assess the entirety of what he’d created. In an era in which photography gets further away from its origins (for good and ill) and becomes the realm of “camera operators” and digital retouchers, Winogrand’s insatiable visual curiosity and unrivaled output has the strength and ability to ground us in the never-ending now. His task, to make pictures as often as possible that could satisfy that curiosity, has extreme relevance to the swelling audience of contemporary photography enthusiasts. Reframed, Winogrand’s output, not just the exhibition prints, or The Animals, Stock Photographs, Public Relations, or Women are Beautiful, but of each roll that passed through his camera, may have been the real prize – the final piece. Does Haiti’s Crisis Call for a New Photojournalism? foto8 has published a new piece I wrote about the photographic coverage of the crisis in Haiti, and how media organizations could benefit from pooling resources in order to visually document the enormity of Haiti’s post-quake reality. Posted on January 20, 2010 January 21, 2010 Categories Second Look2 Comments on Does Haiti’s Crisis Call for a New Photojournalism? 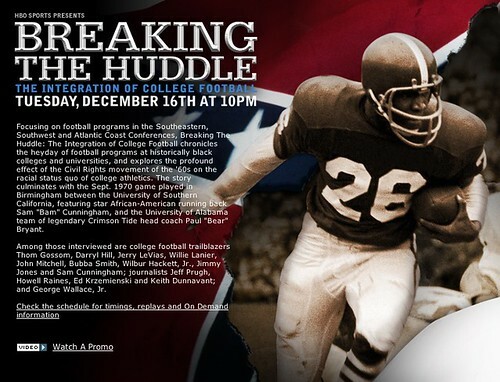 The Tod Papageorge outtakes from “American Sports, 1970” that Nick posted over here were shown in HBO’s documentary “Breaking the Huddle” about the desegregation of College Football in the South. There’s a new bi-annual magazine dedicated to street photography, called PUBLICATION. Nick Turpin‘s brainchild, PUBLICATION features unbound photos, essays (and no ads!) and I’m looking forward to getting my hands on a copy. I wrote an essay about Garry Winogrand for the 1st issue. It’s not a typical essay, and in actuality it isn’t even really about Winogrand — but it was fun to get down on paper, and I’m pleased I could contribute. Can’t wait to raise a glass to Nick and the other contributors this week in London. I’ll see if I can post the essay here after the 1st edition sells out. Click the images on the left to navigate around the PUBLICATION site, and submit your work to see it published. 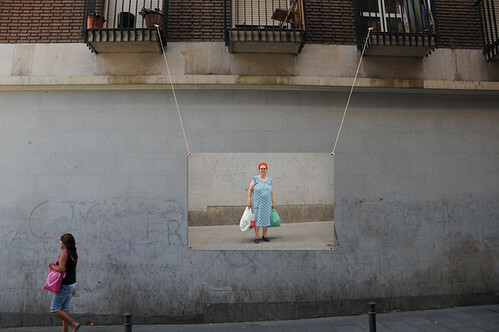 I was familiar with Otto Snoek’s photography from in-public, but I’d never visited his site until this evening. The best of his work reminds me of the best street-inspired photography I’ve ever seen. I received a copyright-infringement takedown notice from a lawyer from the Museum of Fine Arts, Houston, to pull these three Robert Frank videos. When I posted the videos a year ago, I made a point to credit the Museum so that interested parties could follow-up with them (and perhaps even purchase copies: only $29.95!). If I had not credited the Museum, they would never have found the videos (unless their administrators constantly search youtube for Robert Frank videos). It may not have been “right” for me to post the videos in the first place, but I’d think a Museum would understand the educational value of having 20,000 people (worldwide) look at their (credited!) 20-year old video production about a legendary artist. Posted on September 11, 2009 September 11, 2009 Categories Video7 Comments on Takedown! I don’t know what Ms. Zoe Strauss is up to, but this print, presented this way, in this location, looks just about perfect. A few years ago over mezcal in the DF, Mark Powell and I were talking about how he should be teaching photography workshops to folks who want to learn a lot while experiencing one of the most incredible cities on the planet. Really happy to see that Mark’s now doing this; he’s debuting two workshops this fall; one in September, and another, in the midst of the Day of the Dead celebrations, in November. If you like shooting but want to immerse yourself in something beyond what’s familiar, do yourself a favor and sign-up. I can’t think of any photographic learning experience that would/could be better than this. Check it out! I feel like I’ve seen this video of Joel Meyerowitz in the 70s before, but then again, the woman selling t-shirts is definitely not familiar. 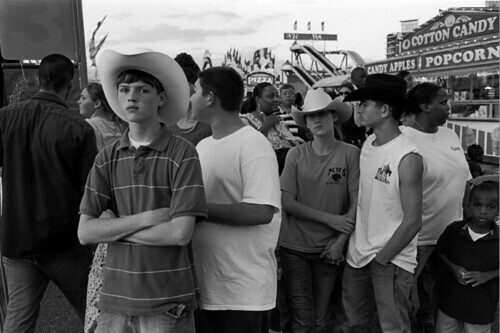 (via americansuburbx) More Meyerowitz on 2point8. From the pictures I wish I’d taken folder, is this cover image of Nina Berman‘s new book “Homeland“. Fantastic. 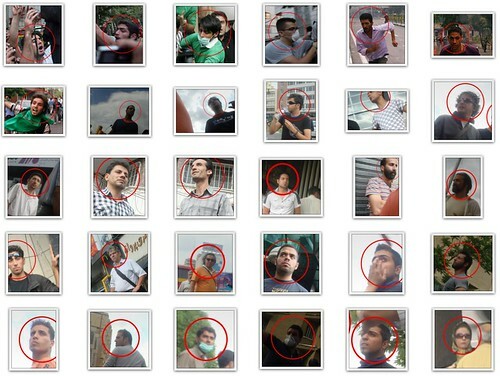 If you haven’t seen it, check out today’s “Wanted in Iran: The Photographs” for a look at how the Iranian regime is doctoring photographs of street protesters to strengthen their own authoritarian grip. Grisly and chilling. The unreleased Olympus E-P1? Engadget has the details. I received this card today announcing the new Purple Martin Press publication of Peter Kayafas‘ photographs of America called “O Public Road”. Some of the work was shown at Sasha Wolf awhile back. More here. On the flip-side of the card was notice that the book’s essay was written by Allan Gurganus, who’s not a shabby writer. But even more interesting was that the book comes with a song by Eef Barzelay. 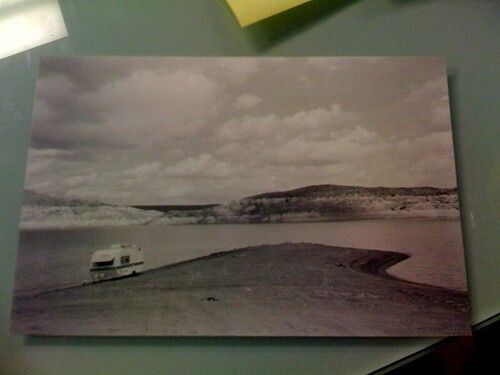 I’ve listened to music by Eef’s band Clem Snide over the years, and generally like his sound a good bit — and when looking at the card, and the front picture of an RV parked lakeside, I could imagine how a song from Mr. Barzelay might fit the book. Did I tell you how awesome it is that there’s a song (an original one, I hope!) that comes with the book? How excellent is that? (Not just because there’s a song, as a singular, purchasable thing – oh great, I have one more song that I had yesterday – but that a musician has created something to complement (and counterpoint?) 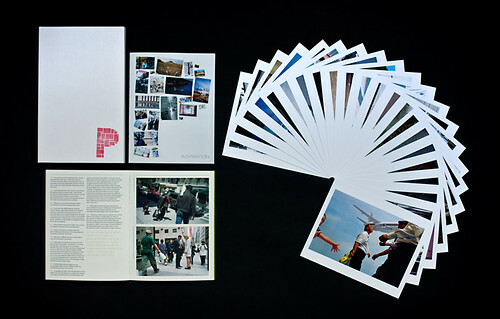 some of the ideas represented by the photographs in the book. What a fantastic idea. Go, if you can. I wrote an “Off the Page” essay about a Papageorge photograph from “American Sports” that can be found in a back issue of 8 Magazine. 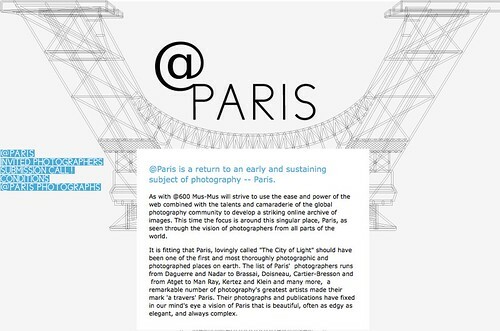 My friends at collaborative online photography space mus-mus.org are looking for your view of Paris. Deadline is July, 14th. “As with @600 Mus-Mus will strive to use the ease and power of the web combined with the talents and camaraderie of the global photography community to develop a striking online archive of images. This time the focus is around this singular place, Paris, as seen through the vision of photographers from all parts of the world.